All milks profiled are available through the CUPS Supply Store – a single platform where you can purchase everything your coffee shop needs, at the lowest prices, on one unified invoice. More details here. As non-dairy alternatives to milk have become a norm in coffee shops we have taken the time to look into a few different options for your shop. There are new forms of milk that are being utilized and are even preferable to the normal dairy milk. Consumers are expecting a variety of non-dairy milk alternatives when they enter your shop, so it’s important to know what’s out there! While non-dairy alternatives are on the rise, many of these options don’t steam or stretch nicely making latte art almost impossible. Noticing this issue, a few companies have put out barista blends –a better thicker texture milk allowing for easier manipulation and better looking & tasting coffee. The most famous of the alternatives would probably be soy milk. With soy lattes being a top order at shops – soy is a must for every shop to stock. Soy is a great alternative to its counterparts because it is nut-free for those with allergies. Soy is also a bit thicker than other options allowing for better latte art. 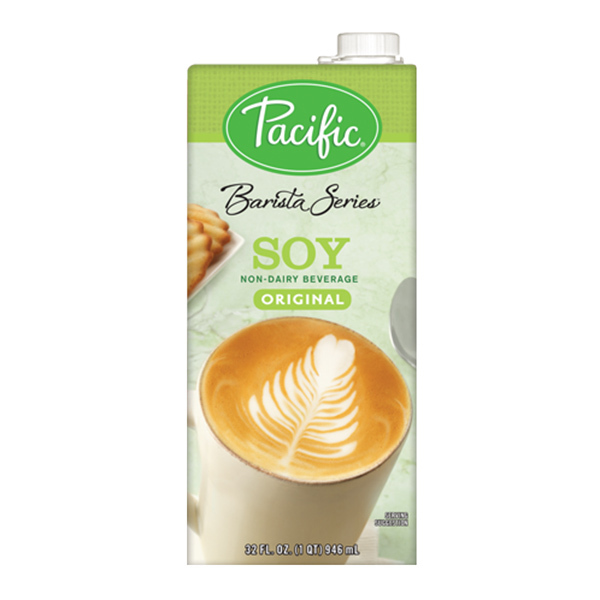 There is even barista grade soy milk made by Pacifica, which baristas tend to prefer. The taste of soy is also a strong point in reference to other alternatives. Brands definitely make a significant difference in the quality of soy milk. It pays to go for the higher end taste wise. While soy may be the most popular, many are avoiding it for health reasons leading to a rise in almond milk as a top option for a non-dairy milk alternative. Almond milk is thinner and more watery than soy milk leading to less stretch and a rougher steam. Although it lacks texture, almond milk is seen to be the best tasting alternative. A few companies have combated the texture issue with barista series almond milk. 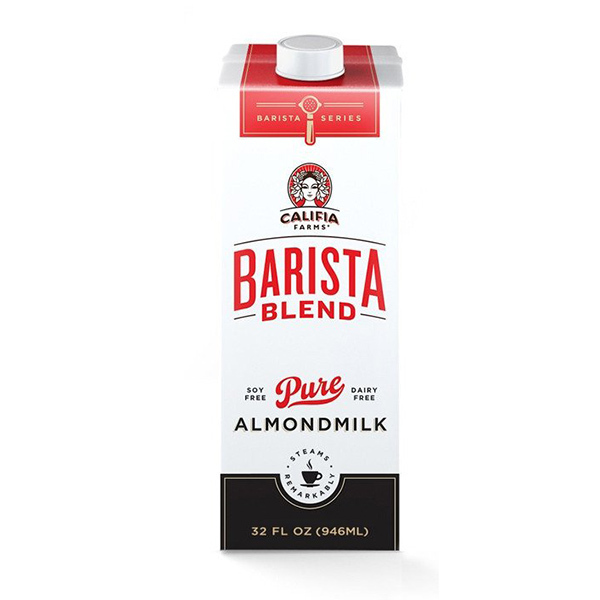 One notable brand, Califia Farms, has a Barista Blend Almond milk. 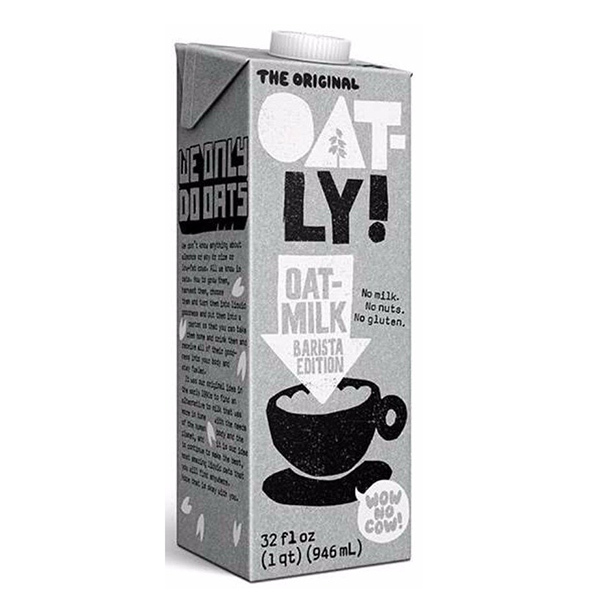 A really cool alternative used more frequently in our shops is oat milk, with only one brand making it Oatly. They make a special barista edition of their product which isn’t overly sweet or overly thick, allowing for optimal control over the density and performance of it. Similar to soy, it’s perfect because it’s vegan-friendly, and perfect solution for nut allergies. It works perfectly in a cortado, and can even hold up without separating when splashed in your regular brew. 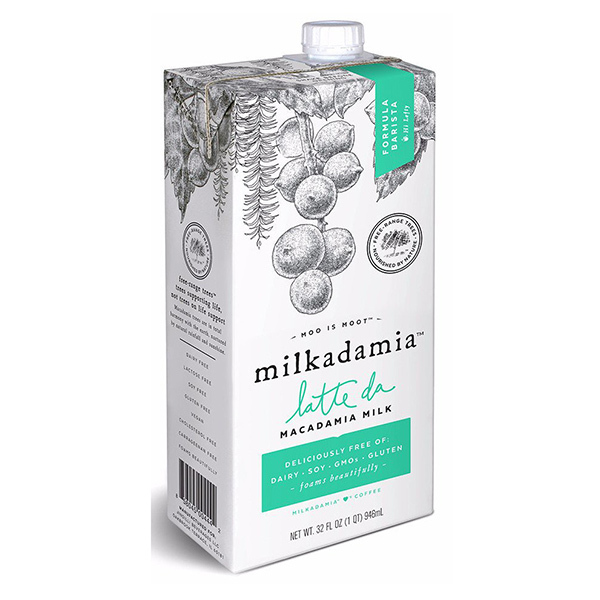 Probably the most intriguing of the bunch would be Milkadamia. A non-dairy, creamy, nutty alternative -Milkadamia makes a special barista formula which allows for maximum stretch and great foam. Stay woke on this- it’s becoming a staple in every shop. The high viscosity of Milkadamia makes it great in a cappuccino! Hazelnut milk is on the creamier side allowing it to steam quite nicely, but unfortunately doesn’t produce the nicest foam. 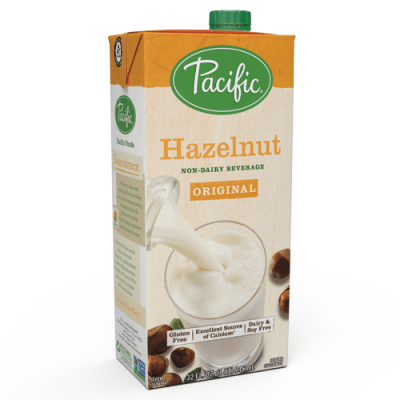 Hazelnut milk on its own is delicious and makes for an amazing Nutella-like taste when used in mocha, or iced beverages. Coconut milk makes for a great flavorful alternative. Coconut milk is very thin making it hard to steam/ manipulate well. 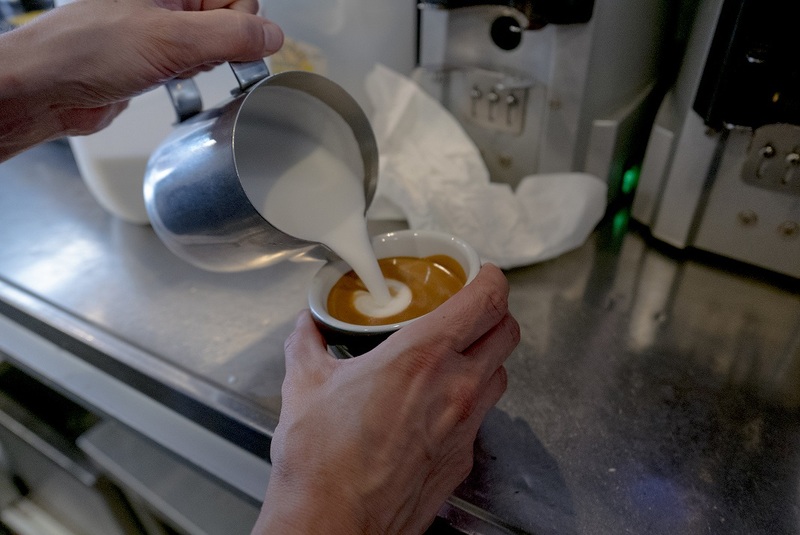 The standard version may separate a bit in coffee, since it doesn’t break down as well as dairy milk, reinforcing the view that barista series of nondairy alternatives may be necessary in some cases. 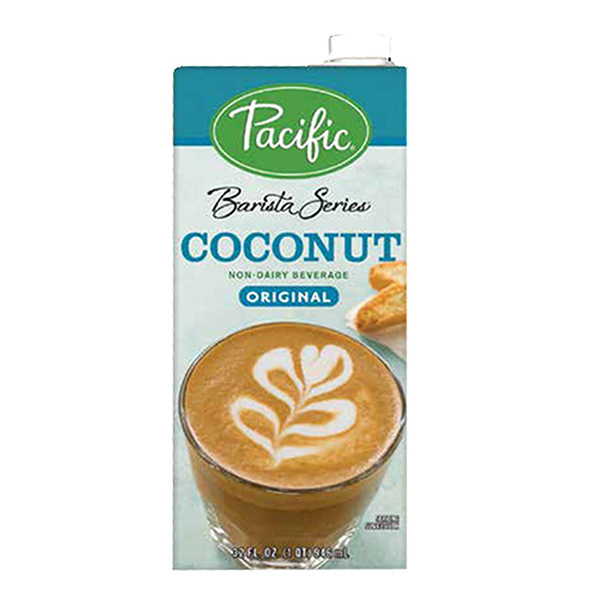 Pacifica makes a fantastic Barista Series Coconut milk that is a popular choice in many shops. The tough break down of coconut milk makes it c best in non-espresso based beverages. Hemp milk is, also, on the thinner side, however, steams rather well. 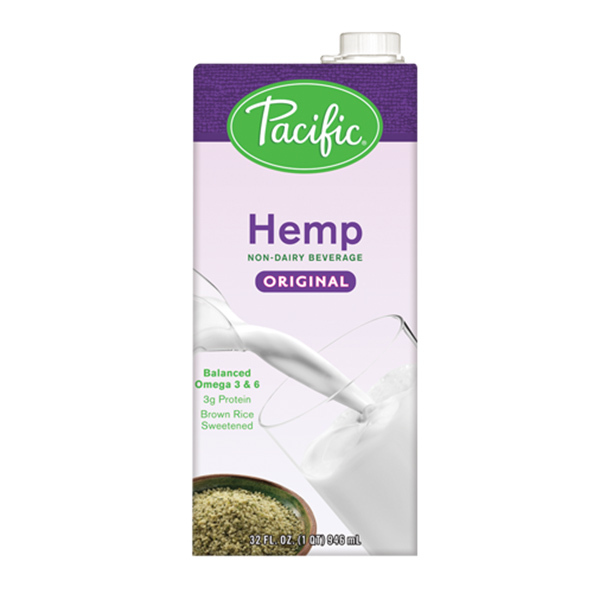 Hemp milk may seem like a strange alternative, however, it is comparable to soy milk. Given its high protein content, it would work well with espresso. Hemp milk also pairs super nicely with a fruitier natural coffee as a plant-based alternative. As we have mentioned quality is really key when looking into non-dairy alternatives. Some shops even make their own almond milk which is an enormous labor and time commitment. There are cheap low quality options such as Silk or Almond Dream, however if one can afford the other options/ barista grade milks we recommend them. All of these non-dairy alternatives are great ways to provide variety for the customer and keep your menu fresh. Keeping a variety is important for those that can’t handle milk – having at least one nut-based milk, as well as one plant-based milk would be advised, but most shops are stocking as many options as possible. The possibilities are endless!